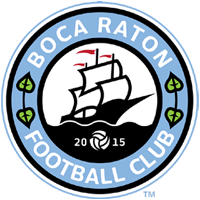 Boca Raton FC partner Palm Beach Spartans win Gold Coast Soccer Premier League. In an unbeaten run in their inaugural participation in the Gold Coast Soccer Premier League (GCSPL), Palm Beach Spartans soared into the Finals with an amazing display of some tantalizing football during the regular season and the playoffs. Palm Beach Spartans are a completely scholarship-based club is a 501(c)3 [non-profit] youth development organization program, utilizing soccer, volunteering activities and mentorship programs, as a means of promoting social development among mainly our minority and disenfranchised population. The program serves youths in the Boynton Beach, Delray Beach, Lake Worth, Greenacres and West Palm Beach communities, focusing on boys and girls all ages. Palm Beach Spartans programs are open to all without regards race, religion, creed or financial status. A high level of skill and teamwork from the Spartans during was also on full display during the final game of the GCSPL where they overwhelmed the opposition and defeated them by 3 goals to 1. The victory was spearheaded by some talented players, namely (captain) Nickenson Pierre #10, Samuel Dorvi, Kervens Auguste wearing#6, #7, Casimer Raoul #18, Ronaldo Voltaire #8, Clavaud Alectus #9, Williams Nozistel #1 and MVP and 15 year-old sensation McKinley Dubriel #15 … just to name few. However it was an outstanding team performance from all players, as was the entire GCSPL campaign. Palm Beach Spartans is more than a team …it’s more than just playing a game…It’s giving these players a place where they feel supported and inspired …it’s family for most of these players. That’s the secret behind the cohesive nature of this team, said Cheddi Johnson, the Spartans President and Founder.